100% love in every product! 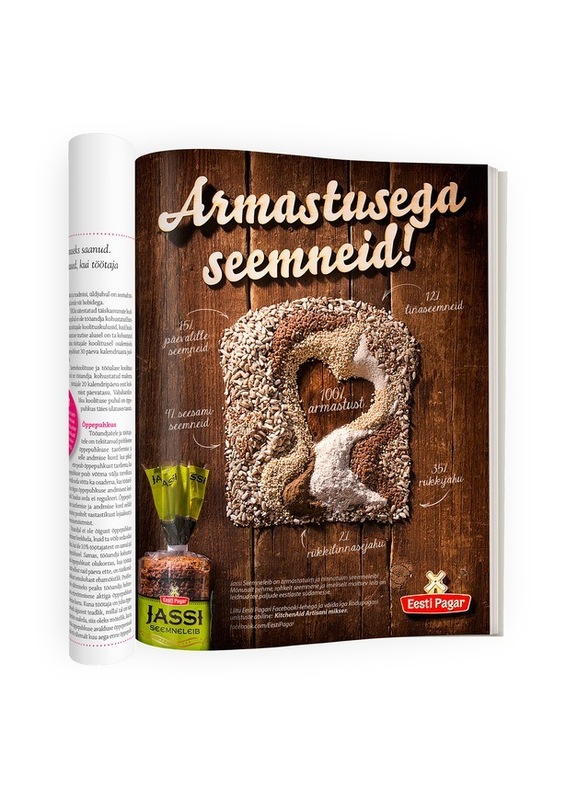 When baking Jassi Seemneleib (Jassi Bread with Seeds), Eesti Pagar follows 100% historical recipes, paying attention even to the smallest of details. 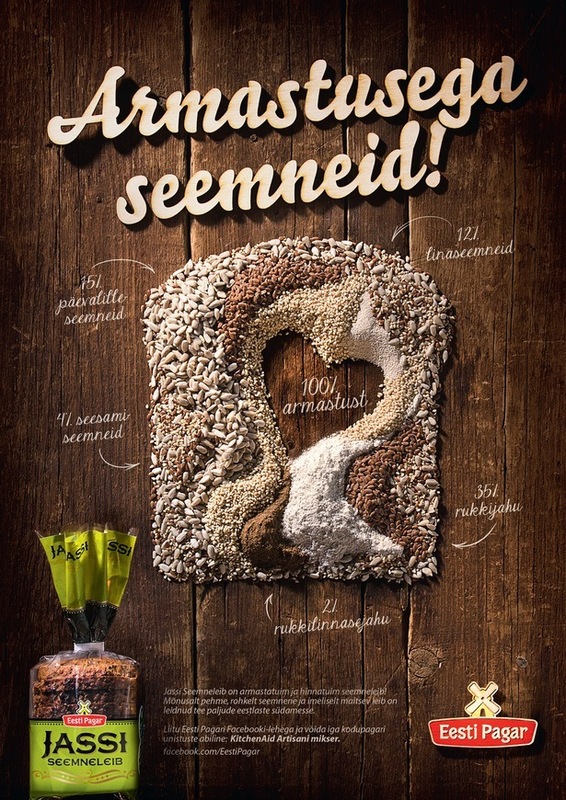 By the same token, we paid attention to each minute detail as we made the print advertisement for Jassi Seemneleib, crafting the advertisement 100% by hand out of the ingredients for Jassi Seemneleib. Only this way we could be certain that, just like Jassi Seemneleib, its advertisement, too, would be 100% handmade with love.